Emergency C-section, disrupted home birth, insufficient pain management, human error, injury to the newborn, stillbirth, and more, can leave a woman blindsided by a traumatic childbirth experience. Often friends and family can’t truly understand the depth of pain a woman may experience when the birth of her child results in trauma. Even if the birth seemed routine for staff and family members, a woman who felt unprepared for the pain, prolonged labor, and delivery, or lack of bodily control may feel significantly traumatized as well. Traumatized women describe feeling dismissed, weak, or isolated. They may even wrestle with feelings of detachment from their families as they are told to “get over it” in the best interest of their child. A woman in this situation knows there’s something wrong, but she can’t fix it and doesn’t know where to turn. When no one else believes there’s a problem, the feelings of isolation and detachment can only increase. TBE can be severe and emotionally disruptive. Traumatized mothers of newborns are faced with trying to manage caring for themselves and their babies while dealing with a sense of loss, anger, victimization, or even disassociation from their child and/or partner. Flashbacks, insomnia, and nightmares are not uncommon. TBE may also be triggered by a previous traumatic experience. The intense emotion and physical pain of birth may bring to mind the intense feelings of a prior experience. For example, the fear, exposure, and loss of control experienced in a sexual assault may seem similar to the helplessness of giving birth. This leads to a reliving of the initial trauma and a strong, negative response to the birthing process. TBE survivors often choose avoidance as a means of coping. Avoidance is a symptom of PTSD. In an attempt to better control childbirth, traumatized women often demand a scheduled Cesarean because they believe fewer delivery room “surprises” will occur, emergency procedures will be reduced, fear of death or harm will be alleviated, and stress to her partner and other loved ones will lessen. Re-experiencing and fear of TBE may be helped considerably by effective pain management and compassionate, responsive care during and after childbirth. Working with a compassionate therapist is also advisable. During pregnancy, conduct a clear, detailed patient history. During delivery, attentive and clear communication is a must. Excellent, responsive pain control must also be a priority. Following delivery, a frank and open discussion regarding the birth experience is important to identify problems resulting from birth trauma and distinguish them from other postpartum depression, ensuring the best approach for care. It is believed that 3 to 5% of women live through a traumatic birth experience, more than was once believed. For those who suffer, compassion and care needs to be understood and readily available so that the joy of birth and motherhood can be restored. It you or a loved one has experienced a traumatic birth experience and need help getting past the emotional pain and sadness, please contact me. 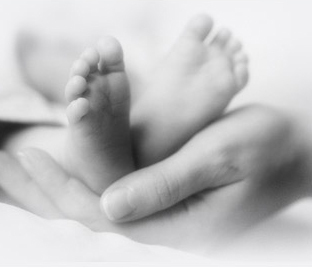 I can help you find your way through the pain and confusion of a Traumatic Birth experience.